The Camb odian Oral History project is the first iteration of an initiative in the Applied Humanities — the application of humanities skills in language, thought, literary interpretation, and cultural understanding — toward the solution of concrete problems in the world. The group’s first project is to help people in Cambodia create, upload, and link family histories — a daunting task in a nation where a vast number of records were destroyed (and lives lost) during years of political turmoil in the late 1970s. 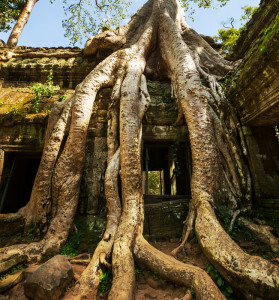 From these histories we will create a searchable database that we hope will be useful to people of Cambodian ancestry as well as to scholars interested in that region of the world. Tuesday, September 11, 2018 at 3pm in 4101 JFSB there will be an informational meeting about the status of the project and new opportunities for faculty and students.